The final schedule for Tamil star Suriya’s highly-anticipated 36th project, Nandha Gopalan Kumaran (NGK), has begun today. The entire production formalities, except for a minor patchwork, will be wrapped up in this schedule which will last for over a month. Touted as a political thriller, NGK has Sai Pallavi and Rakul Preet as it’s leading ladies. Jagapathi Babu essays a key role in the movie. Acclaimed filmmaker Selvaraghavan is directing the movie and SR Prabhu is producing it. Yuvan Shankar Raja is the film’s music composer. 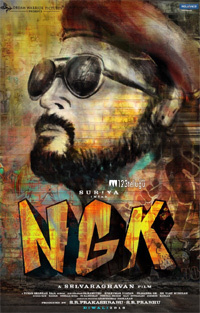 NGK is slated for release during Diwali.